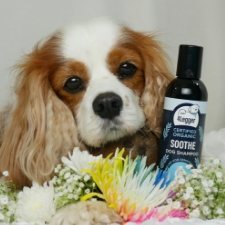 It’s been awhile since Mom let me do a dog product review. 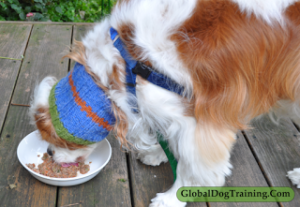 I love doing pet product reviews, especially when they involve eating! And healthy dog food is always a big plus. What’s on the docket for today? Paul’s Custom Pet Food sent me a few samples to try. 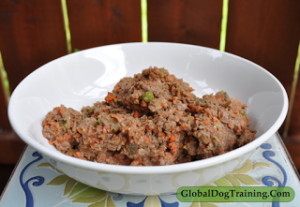 Today I tried Paul’s Custom Pet Food’s-Spud’s Beef with Veggies (Grain Free). As you know, Mom is always about finding me the healthiest food and treats. She won’t allow me to eat anything that is questionable. For my readers who aren’t familiar with my feeding routine, I’d like to give a little history to get you up to speed. Here’s Mom’s conversation and guidelines with our holistic veterinarian food therapist, Dr. Judy Morgan. I normally eat a home cooked primarily organic diet, so this is a bit of a change. Dr. Morgan believes the ingredients in Paul’s Custom Pet Food would be perfectly healthy for me to try. 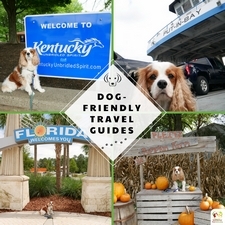 Dr. Morgan is actually helping Paul’s Custom Pet Food with their clients’ nutritional needs. I knew I was going to be in for a real treat when the oh-so-fragrant aroma filled the room. 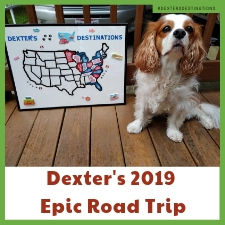 I started to get excited and ran over to “my spot” hoping Mom would hurry up. Then I saw it: The camera. Darn. I knew it would be a minute before I’d be able to sink my teeth into my healthy dog food. After Mom’s photo shoot, she said, “OK” and I dove into my dog bowl! Wow! Just Wow! I just loved the taste, and it melted in my mouth. Organic beef heart, yum. I could taste that right away. After a few gulps, I could taste the organic sweet potato and organic apples. Yum. I really cleaned my bowl. I looked up at Mom for more, but she said that was all I got for lunch. Spud’s Beef with Veggies is considered a supplemental food, so if your dog is lucky enough to get this as a regular meal, you will want to add dog probiotics and dog supplements to make the meal balanced. 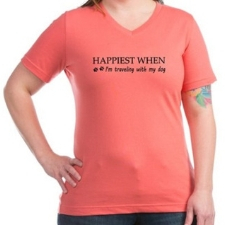 If not, you can use this in addition to a balanced diet. 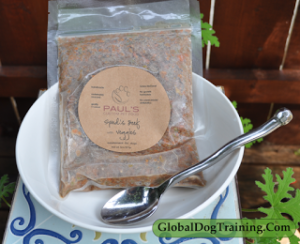 It’s now time to check out what makes Paul’s Custom Pet Food– Spud’s Beef with Veggies (Grain Free) a healthy food choice for dogs. Paul’s Custom Pet Food is made in small batches from whole, healthful, sustainably raised or grown ingredients that are free of synthetic chemicals, added growth hormones, unnecessary antibiotics, genetically engineered ingredients, and preservatives. They also source as many items as possible from their local farmers and/or businesses. In addition, their supplemental food is gently cooked and immediately frozen to maintain nutritional value. All of the ingredients are the same as those you would use to prepare your own meals. Now that’s some well-cared for dog food! Paul’s Custom Pet Food–Spud’s Beef with Veggies heck yeah!! 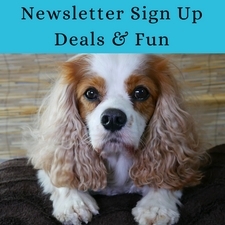 Thank you so much, Paul’s Custom Pet Food for allowing me to try your great Spud’s formula! Pros: Local ingredients, no hormones, no antibiotics, lots of organic ingredients, sustainable ingredients, and manufactured in the US. 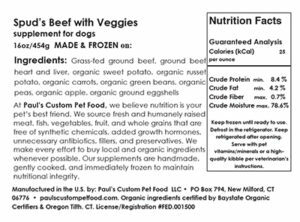 UPDATE 9/10/16 Paul’s Custom Pet Food improved their recipe to include more muscle meat. 🙂 Here’s their new label.